NuCrypt is a world leading quantum optical instrumentation company. 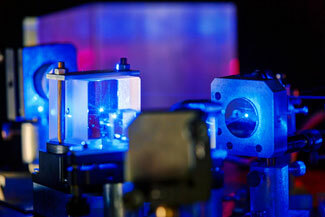 We provide a suite of products that generate, manipulate, and detect photons, including fiber-coupled entangled pairs. Each individual component can be used independently, but when used together in concert with our system control software, complete measurements, such as quantum state tomography, can be performed and graphically presented to the user in near real-time. Our equipment includes a variety of features that enable non-experts in the field to quickly break the quantum barrier and accounts for a variety of practical issues that previously made distributing quantum entanglement difficult.